I just read Is the airport capacity related to number of runways? . While there are a host of factors, the idea of more runways is obviously so that more flights come in and out. Which is the biggest and baddest airport which has the largest number of people as well as aircraft coming in and out. 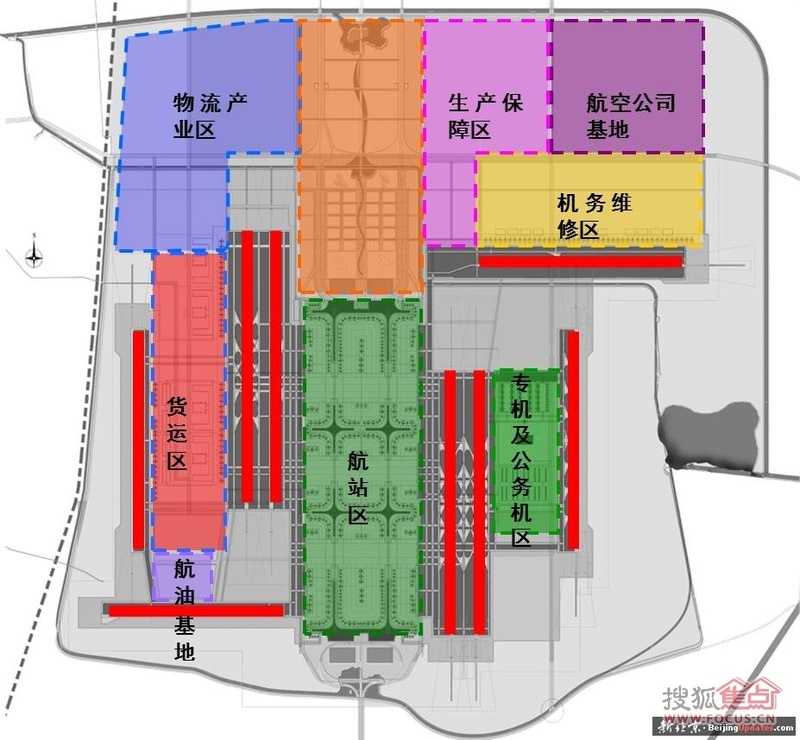 Few days back I read that the Chinese have some ambitious plan for the Beijing Airport. I do not know how many runaways it would have (the newspaper article didn't tell/share that info.) but would be interested to know which Airport is the king? Chicago O'Hare International Airport (ORD) today has 8 runways, which is more than any other current airport has. In 2015 14L/32R was closed and 10R/28L was opened, and further runway changes are foreseen. Beijing Daxing International Airport will be Bejing's third airport (planned to open in September 2019). According to Centreforaviation it will have 9 runways. One runway will be reserved for military use. The ninth runway is not visible on public maps and illustrations at this moment. Additional runways are not necessarily used to increase (commercial) traffic. Runways maybe reserved for different wind directions, to separate different type of planes (military, general aviation), or for noise abatement. This was already discussed better in the other question that you mention. 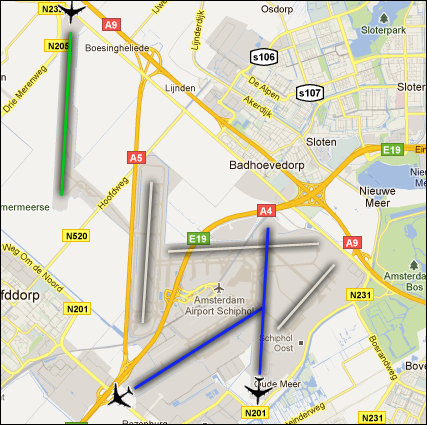 As an example for the noise abatement, this picture (from LVNL) shows a snapshot of active runways at Amsterdam Airport Schiphol. There are 6 runways, of which usually only 2 or 3 are used. The most distant runway (here in green) is almost always in use, causing very long taxi times in favour of reducing the noise exposure of nearby residential areas. Apparently, Denver International (KDEN) takes first place at a total of 12 runways current and planned. KDEN currently has 6 runways, with an additional 6 planned. The first four additional runways are planned for completion by 2030, with the last two additional runways planned for completion beyond 2030. Due to projected growth and Denver's weather patterns, KDEN will ultimately require more runways to serve the same amount of traffic as comparable aerodromes. Denver International Airport is projected to experience activity levels comparable to those currently at O’Hare and Hartsfield-Jackson Atlanta International Airports. 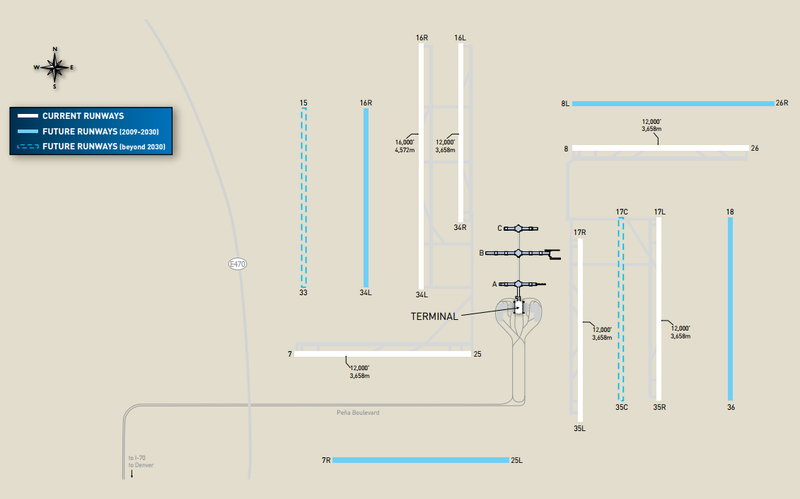 These airports encompass seven and five runways, respectively. 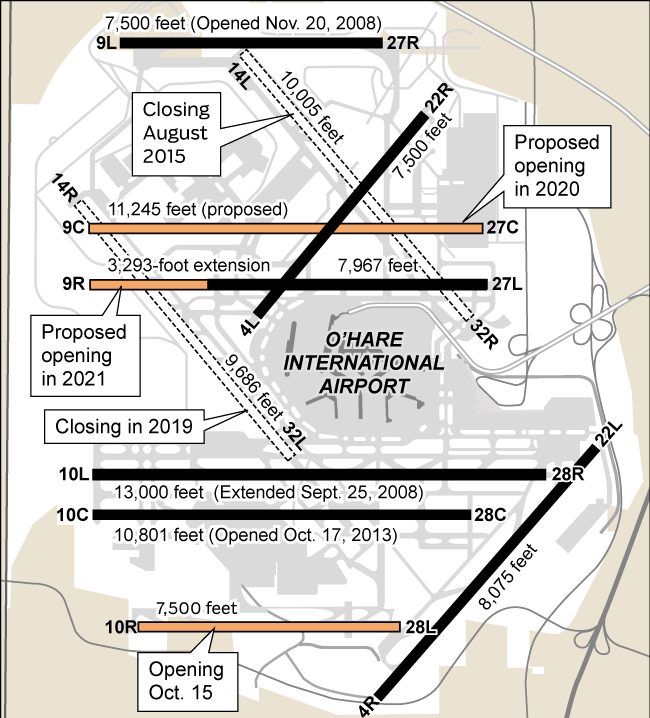 O’Hare’s runway system, which is currently undergoing modification, will ultimately consist of six parallel runways providing the ability to simultaneously arrive to three independent runways during poor weather conditions and two crosswind runways. Likewise, Atlanta’s runway system consists of five parallel runways, allowing simultaneous arrivals to three independent runways in poor weather conditions, but without crosswind runway capability. Given the historic wind and weather conditions in Denver, influenced strongly by the Rocky Mountains, crosswind runway capability is critical to maintaining operations during strong winds, poor or marginal weather conditions, protecting the all-weather reliability of the airfield system. 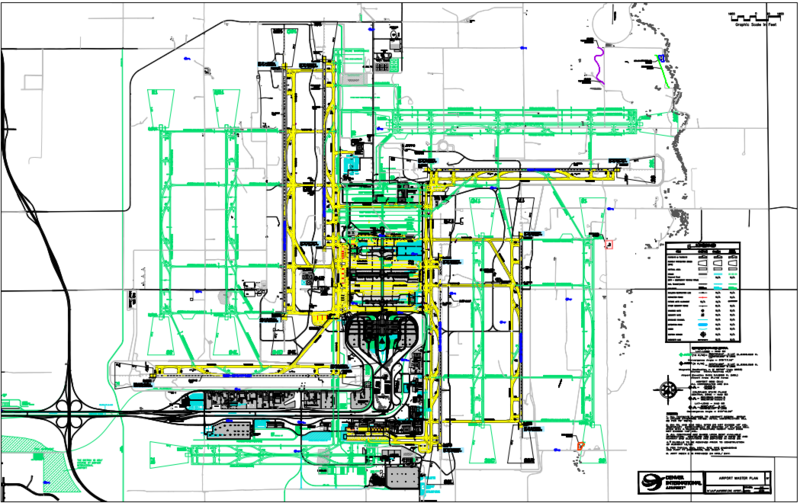 More details including the full airport layout plan (see below) available here. Which civil airport has the longest runways in total? Can airlines schedule more flight arrivals than the airport capacity? Which US airport historically has the most days in which VMC prevail? How do Rapid Exit Taxiways improve aircraft movements? What are the biggest challenges for GA airports? What factors made my flight land at runway 02 in El Prat?